Finding good Chinese Weight Watchers recipes can be hard. There is nothing worse than craving Chinese food and knowing that if you go to the buffet…your weeks points will be BLOWN! 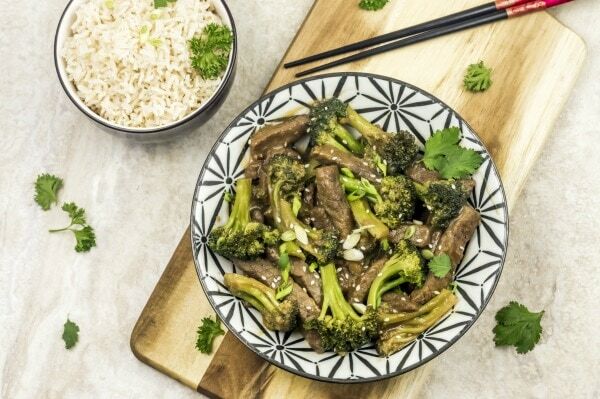 Luckily it is possible to make yummy Chinese food in a healthy way at home so you don't feel deprived. 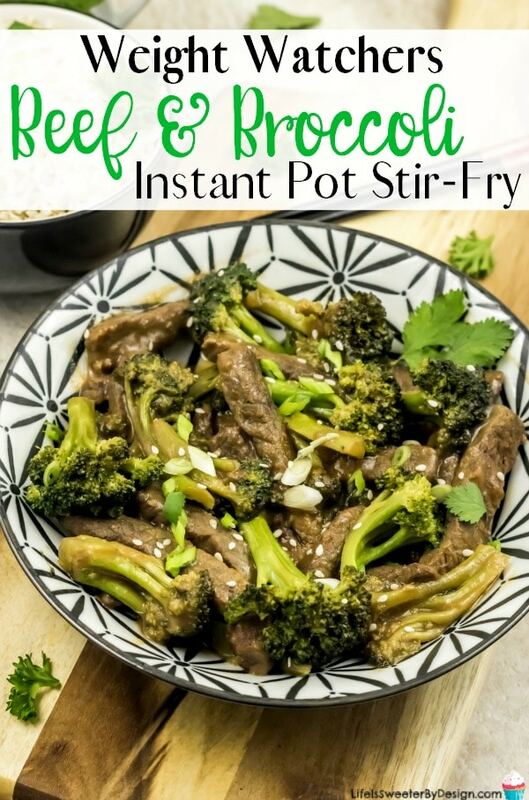 This Weight Watchers Instant Pot Spicy Beef and Broccoli Stir Fry is delish! I needed a good recipe to go along with the Weight Watchers Cauliflower Fried Rice and this one is perfect! It is also great to add another Weight Watchers recipe to my Instant Pot recipe list! I love that Chinese food always has so many veggies included. Since almost all veggies are Zero Points….it works in our favor! I marinated the beef strips in half the marinade. Stir together sherry, soy sauce, garlic, sesame oil, red pepper flakes in 1 cup glass measuring cup . Transfer 1/2 of mixture to a large Ziploc bag and add beef. Seal bag and turn to coat beef. Refrigerate up to 2 hours to marinate. Add cornstarch and equal parts cold water to make a slurry. Stir until smooth. Depending on how much thickening your sauce needs…you can make a larger amount of slurry by combining equal amounts of cornstarch and cold water. Put 1 tablespoon of oil in the instant pot on saute mode. Dump the marinated beef and any excess sauce from Ziploc bag into the pot and sear it, till it no longer pink. Add rest of the sauce and beef broth and pressure cook on HIGH for 5 minutes. Once the IP beeps, release the steam using the “quick release” process. Turn it back on the saute mode and add the broccoli. 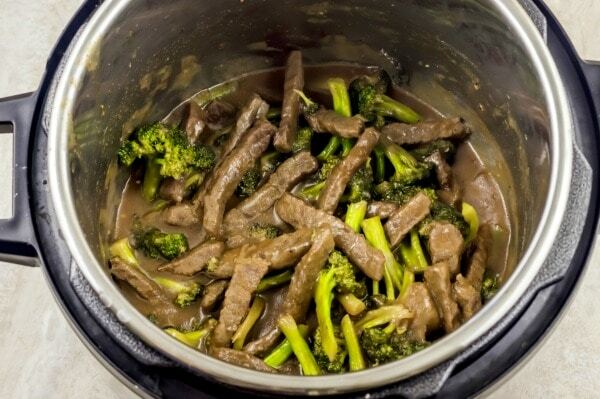 Let it simmer in the sauce for 5 minutes till the broccoli is cooked, but still crunchy. Add the cornstarch slurry and let til simmer for another minute, till the sauce becomes thick and it coats the meat and the veggies. Server hot with brown rice or with Weight Watchers Cauliflower Fried Rice. This meal makes around 4-5 cups. I figured it in the Recipe Builder based on one cup servings…4 servings total. It came out to be 4 Freestyle SmartPoints per serving! Not bad if you serve it with zero point cauliflower fried rice! If you are struggling to find more ideas for yummy recipes to eat on Weight Watchers….one of my favorite resources is the Cook Yourself Slim Ebook Collection….I have all of these printed out in a binder and I use it regularly for new recipe ideas. It is a great deal! 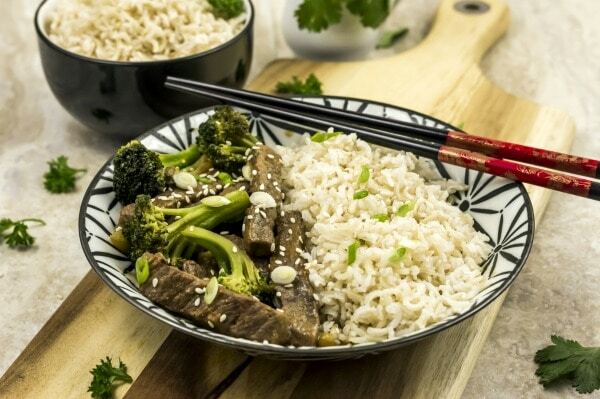 Let me know what your favorite Chinese dish is to make at home….I may want to try it! 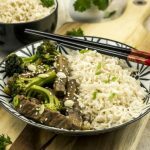 Weight Watchers Instant Pot Spicy Beef and Broccoli Stir Fry is a delicious Weight Watchers recipe that will curb your craving for Chinese food without any guilt. Stir together sherry, soy sauce, garlic, sesame oil, red pepper flakes in 1 cup glass measuring cup. Add cornstarch and equal parts cold water to make a slurry. Stir until smooth. Depending on how much thickening your sauce needs...you can make a larger amount of slurry by combining equal amounts of cornstarch and cold water. 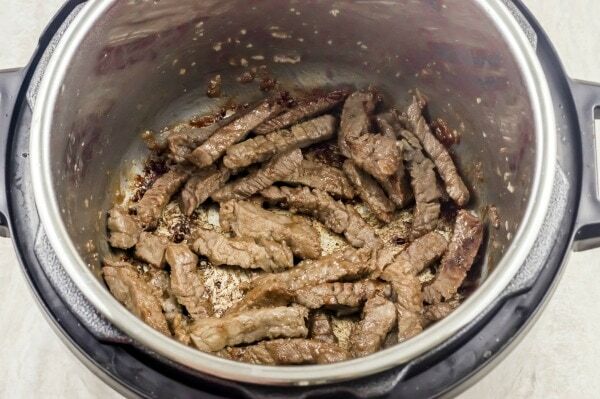 Dump the marinated beef and sauce from the ziploc bag into the pot and sear it, till it no longer pink. Once the IP beeps, release the steam using the "quick release" process. 4 freestyle smartpoints per serving. Makes approximately 4 cups so serving size is one cup. I dont have an Instant Pot – – not planning on buying one -not enough room – can i use my crockpot or a plain pot??? Hi Irene! I totally get the “room” issue…my pantry is really crowded lately! I am sure you can, but I haven’t done it so I don’t know cooking times…you may not need as much liquid—but I think you could play around with it easily enough! Let us know how it turns out.